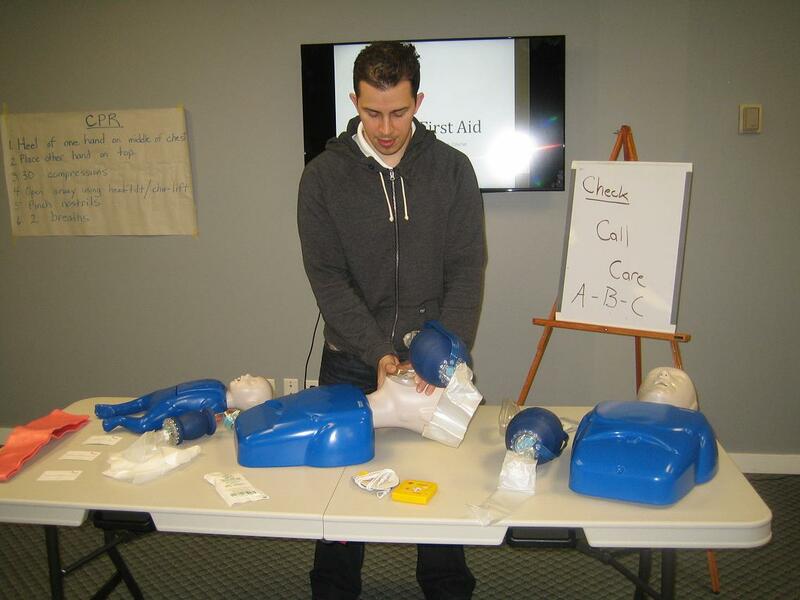 Approved First Aid and CPR Certification in Halifax, N.S. Home » Approved First Aid and CPR Certification in Halifax, N.S. Would you know what to do if a loved one entered into cardiac arrest? Do you know how to recognize and manage victims of heart attacks, stroke and deadly internal bleeding? Learn about this and more by enrolling in standard, childcare or emergency first aid courses with Halifax First Aid. You may also register for CPR and automated external defibrillator (AED) only courses that do not include any first aid certification. 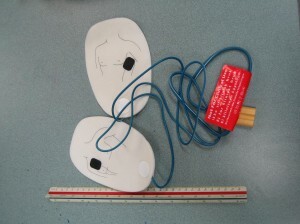 Basic life support, babysitting, pet first aid, on-line safety and food safe certification courses are also available. Courses are offered multiple times per week at the training centre and customers can also request private courses for groups of almost any size. This provider proudly offers the most experienced, knowledgeable and patient instructors to teach its classes. The high-end training centres are clean and well-maintained. Course prices are the lowest in Halifax and Nova Scotia. To register for a course or to inquire about the services available with Halifax First Aid used the contact information posted below. Click here to visit the Halifax First Aid website for a full list of available programs, rates, and schedules, as well as a registration form. Trainees are also encouraged by the Halifax First Aid staff to complete their enrollment via e-mail, telephone call, or walk-in in any of the training centers in Halifax. Telephone (toll free number): 1-888-870-7002 – Customer service representatives are available from 7 am to 7 pm. Register for a course today. Use the contact information from above to find out more about these courses. 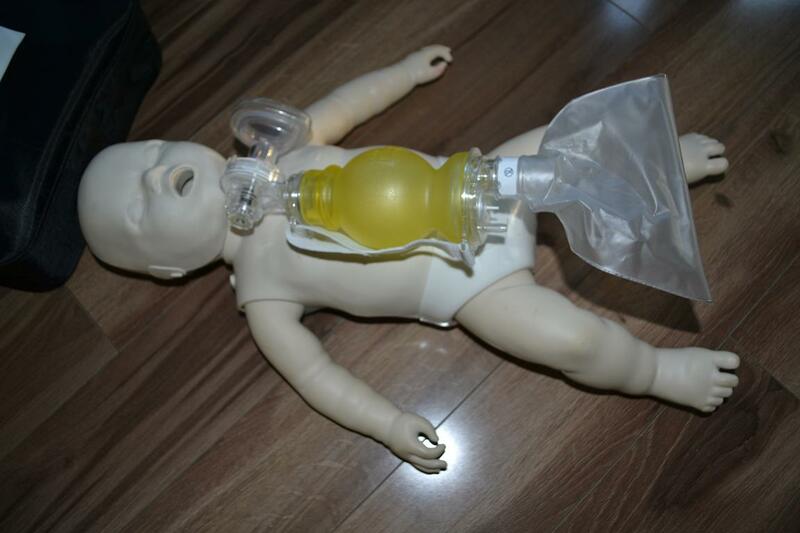 Pediatric training mannequin and bag valve mask used in CPR Level HCP training programs. Workplace approved certificates are given to trainees who are able to complete and pass a training program or class. The certificate is valid for three years throughout Canada and will be able to meet whatever requirement the trainee needs. Refresher courses are available twice weekly at Halifax First Aid for renewal / re-certification of expiring certification. Private Classes are available for businesses and companies of almost any size. Competitive rates are available. Halifax First Aid has the cheapest training courses in the area. Enrolment fees include taxes, certificates, and training manuals and equipment so trainees don’t have to worry about additional expenses during training. Trainees who do not complete the training course are entitled to a full refund, provided a 72-hour notice is given beforehand.